I have several tarot decks but I haven’t reviewed any of them. 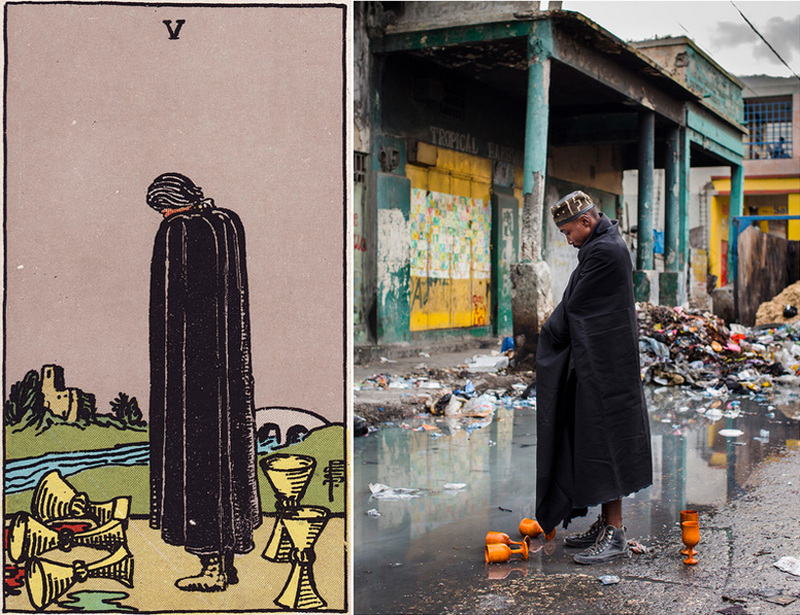 Today I’m pulling out my newest set, African American Tarot by Lo Scarabeo. Lord knows, I searched low and high for a tarot deck that didn’t have the generic white, European characters on them! I saw a few decks that depicted “ethnic” characters/themes, but the artwork was hideous and I don’t accept that having brown characters means I have to compromise on quality. No, honey, not this one. White folks have been whitewashing the trade since…well…colonialism. But that’s another rant for another post. Just walk into your local occult shop or hoodoo shop (haha, don’t get me started!) and count how many people of color you see. Chances are, not many. So I searched for a beautiful tarot deck with lush, detailed pictures like the Euro-centric ones in my collection. It wasn’t easy. There were a few that caught my eye, but I’ll only review the deck my boyfriend surprised me with. 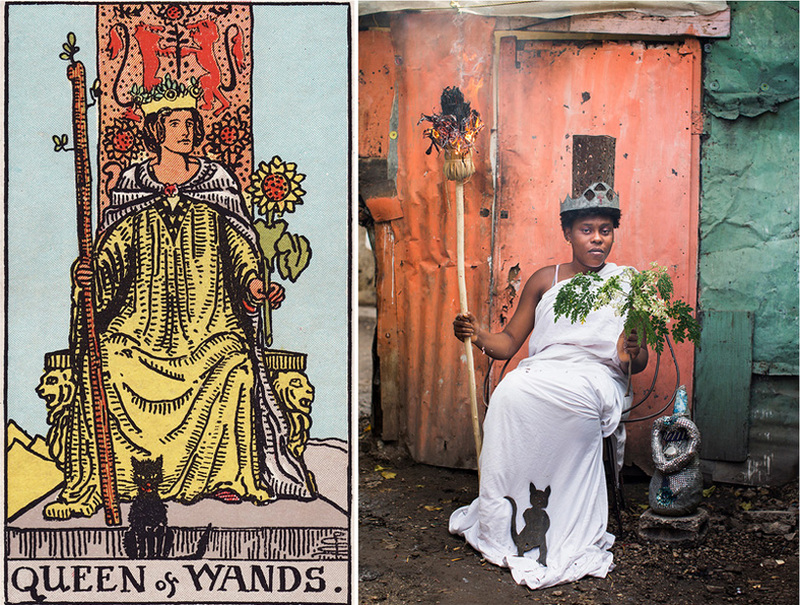 I like obscure and or rare tarot decks, and I was not disappointed by African American Tarot. Illustrations are by Thomas Davis and Jamal R. is the writer. 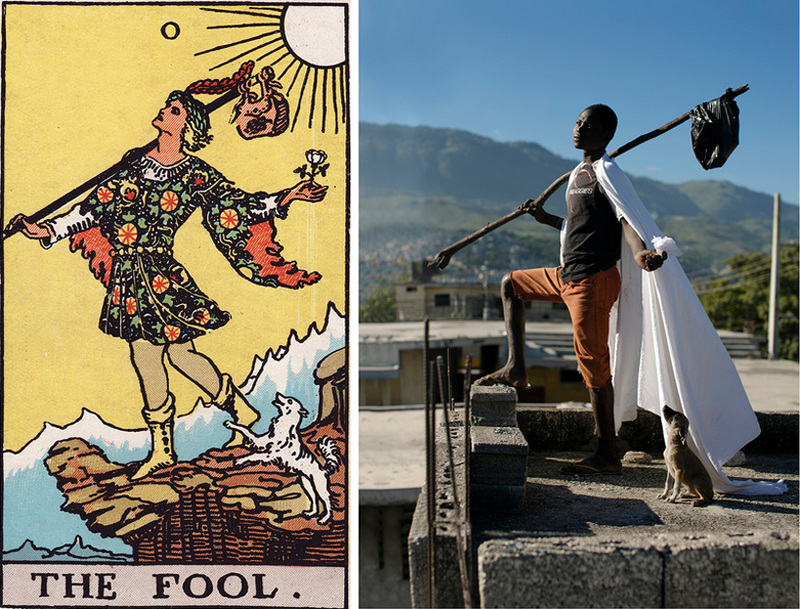 The African American Tarot has nothing to do with “African Americans,” like advertised. It’s more like generic tribal with afro-centric imagery. Lots of zebras, elephants, lions, and muscle-y men in loincloths and elaborate headdresses. I don’t mind all this, but there’s nothing “American” about what I just described, either. I was hoping for a more…um…”modern” approach, but whatevs. At least I have a deck with characters that (sorta) look like me! Historical black figures grace the foreground on some of the cards. 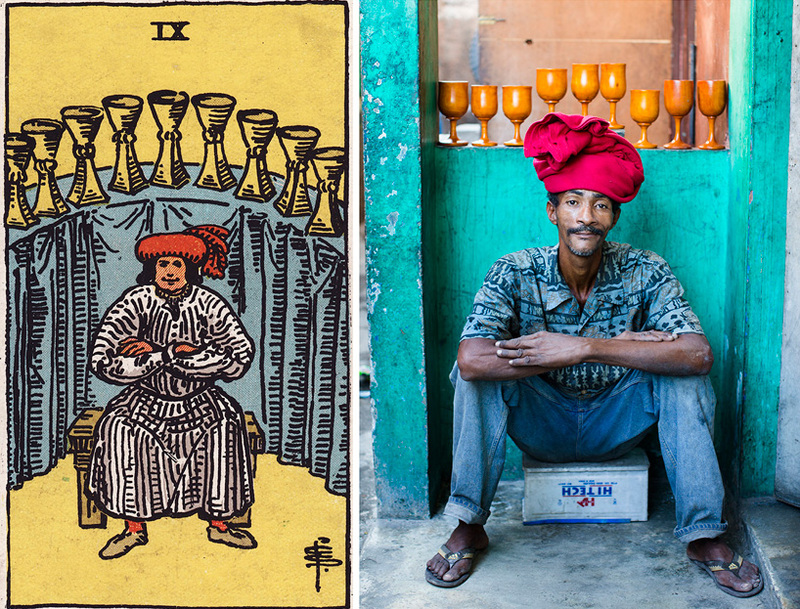 2 of Chalices has Jean Baptiste Du Sable and 5 of Pentacles features Sojourner Truth. 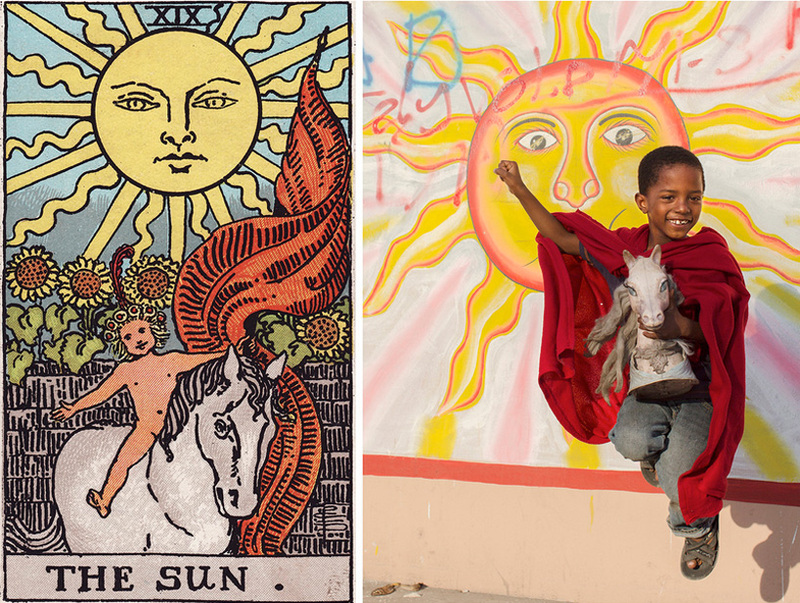 The minor and major arcana are based on traditional Rider-Waite themes. Like most tarot decks, there’s a booklet included with notes from the author. He infuses African-based folklore and deities into the descriptions and does not limit his scope to just one African religion/region. But I appreciate his broad approach. I don’t know what Sojourner Truth has to do with the 5 of Pentacles, but I’m happy she’s there, haha. Disjointed? Yes. But I’m willing to forget all that because the artwork is so well-done! The images are interpretive and I feel a visceral connection to them. Some of the images are odd, like the 2 of Wands, which depict a ghostlike man screaming in agony while a man rides on a bull above a baby in a crib. Um…yeah. My favorite card (in any deck) is the Queen of Swords and so I always look to her first before making up my mind about the rest of the deck. In the African American Tarot, she is personified by Yemaja, who also just happens to be my favorite Goddess. All in all, I like this deck. It’s not my favorite of all time, but I do look forward to using it when I am in the mood for an intuitive and less structured experience.